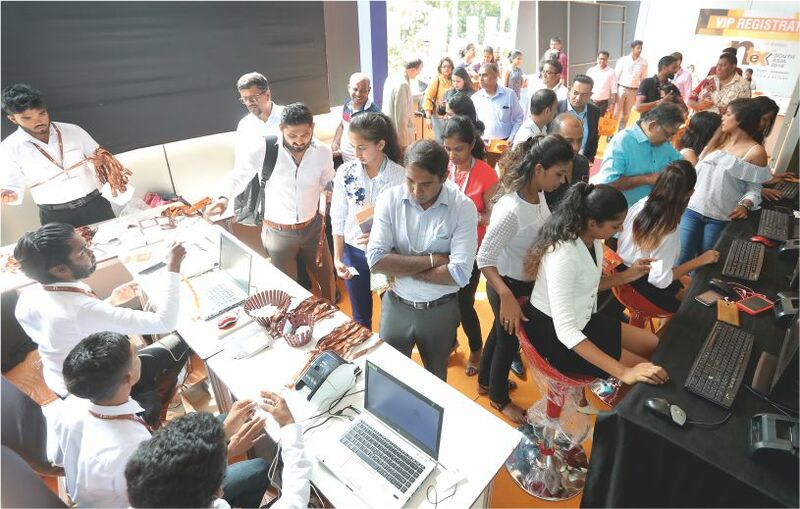 The 4th edition of Intex South Asia was held from 14-16 November 2018, spread across four halls at the Sirimavo Bandaranaike Memorial Exhibition Centre (BMICH) in Colombo, Sri Lanka. The show was jointly inaugurated by H.E. Shri Taranjit Singh Sandhu, High Commissioner of India to Sri Lanka as Chief Guest and Mrs Indira Malwatte, Chairperson & CEO, Sri Lanka Export Development Board (EDB) as Guest of Honour, H.E. Mr. Tan Yang Thai, High Commissioner of Malaysia to Sri Lanka and Mr Sharad Amalean, Chairman, Joint Apparel Association Forum (JAAF) as Special Guests. H.E. Shri Taranjit Singh Sandhu, has become an annual event in Sri Lanka in the calendar of textile industry, which is a reflection of efforts of all stakeholders to turn a huge potential into reality. He also recalled Prime Minister of India, Shri Narendra Modi’s vision for textiles ‘From Farm to Fibre, Fibre to Factory, Factory to Fashion, Fashion to Foreign’. His Excellency mentioned that trade events such as Intex South Asia would go a long way in promoting the existing synergy between India and Sri Lanka. 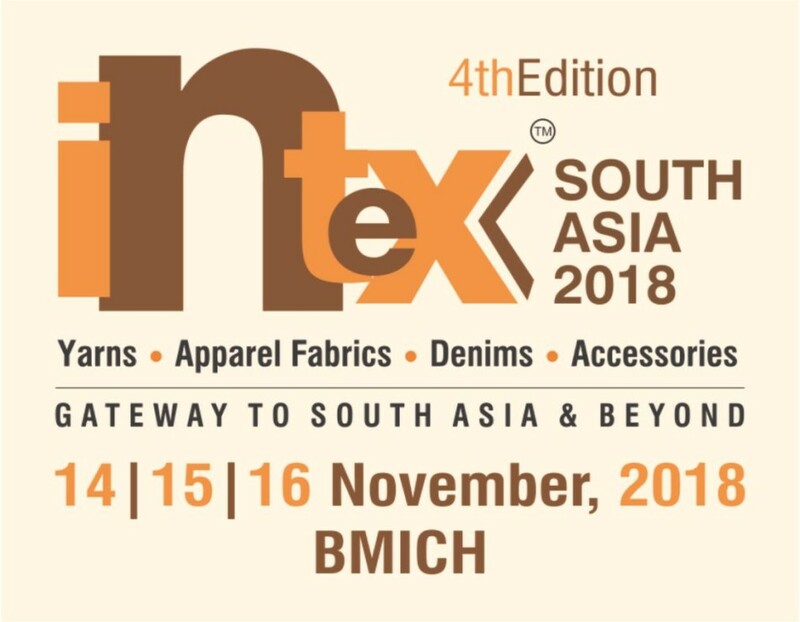 As the largest trade fair of its kind in the region, Intex South Asia welcomed more than 200 leading and quality textile suppliers from India, Sri Lanka, Pakistan, Bangladesh, China, Taiwan, Hong Kong, Indonesia, Korea, Switzerland, Australia, and more who showcased their wide range of innovative yarns, apparel and denim fabrics, clothing accessories and allied services at the event. There were Country Pavilions from India with 45 companies and Taiwan with 12 companies that was organised by Federation of Indian Export Organisations (FIEO) and Taiwan Textile Federation (TTF), respectively. The 4th edition also saw the arrival of confirmed buyer delegations/groups from India, Taiwan, Nigeria and United Arab Emirates at the show. The delegates were from India, Taiwan Textile Federation, Hallmark Media from Nigeria and UAE based textile trading and importers group. The host country industry representatives such as Brandix, MAS, Hirdaramani, Timex, Star Garments, Emjay International, EAM Maliban, KASH Garments, Marks & Spencer, TESCO, H&M, NEXT UK, Decathalon, George, ASMARA, MGF Sourcing, Regal Calibre, etc. attended the show. The show was attended by 3,500+ leading apparel exporters, sourcing offices, brands and retailers, indenting agents, e-tailers and others from 18+ countries and regions. For the first time, a panel discussion on ‘Textile 4.0 – South Asia Dialogue’ highlighting the upcoming industry trends was organised alongside Fashion Fiesta – Intex South Asia’s networking event, which was well attended by an august gathering of 500+ industry representatives at Taj Samudra Hotel. At the Fashion Fiesta, there were light moments and a special dance performance by Sway Dance Group of Sri Lanka at the gala night. A series of fashion shows to unveil the creativity and design in textiles by the participants of Intex South Asia was organised at the networking reception, which was presented by Taiwan Textile Federation (sports and performance fabrics), The Woolmark Company (Merino Wool Innovation), Sri Lanka Textile & Apparel Institute (Banana Yarn developed in Sri Lanka) and last but not the least showcasing a special sequence to highlight and promote apparel brands made in Sri Lanka by the Sri Lanka Apparel Brands Association (SLABA). This year’s ‘Interactive Business Forum’ (held on Day 2) was a huge success where Sarah Schlenger, Research & Development (R&D) Commercialization Manager, USA of The Woolmark Company (TWC) presented the use of Merino Wool in today’s fashion garments such as Active wear, Athleisure, Eveningwear and TWC’s focus on innovation related to product development from Luxury to Performance as well as fashion trends/forecast for 2019/2020. The second session was presented by Dr Shafiq Ahmad, Country Manager, Pakistan of Better Cotton Initiative (BCI) who gave valuable insights on ‘Future Proofing for Business – The Sustainable Way’, the role and commitment of BCI towards sustainability and global brands associated with sustainable cotton sourcing. 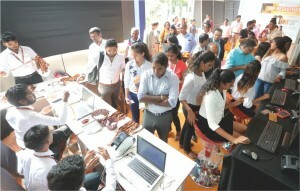 At the end of the 4th edition, there was 18 per cent growth recorded in the buyers’ footfall and 14 per cent increase in exhibitors as compared to last year.